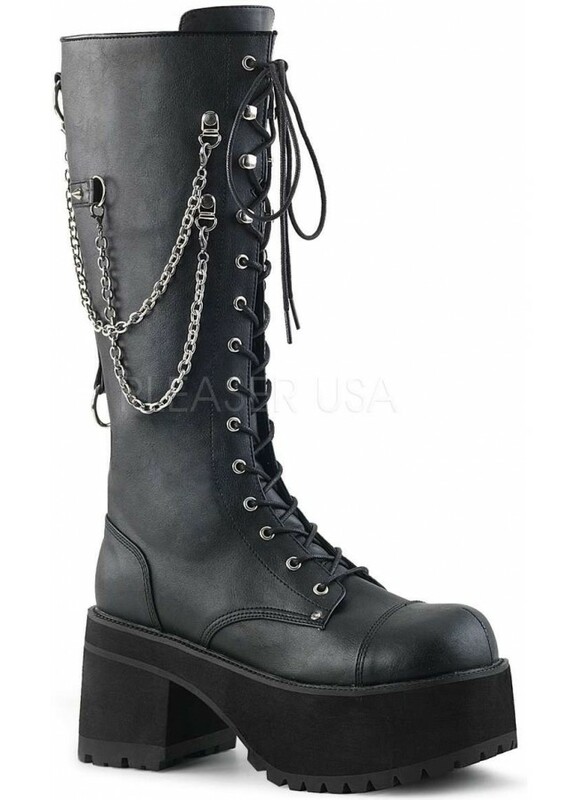 Faux leather knee high combat boot for men have a 3 3/4 inch platform heel and silver chain charms. 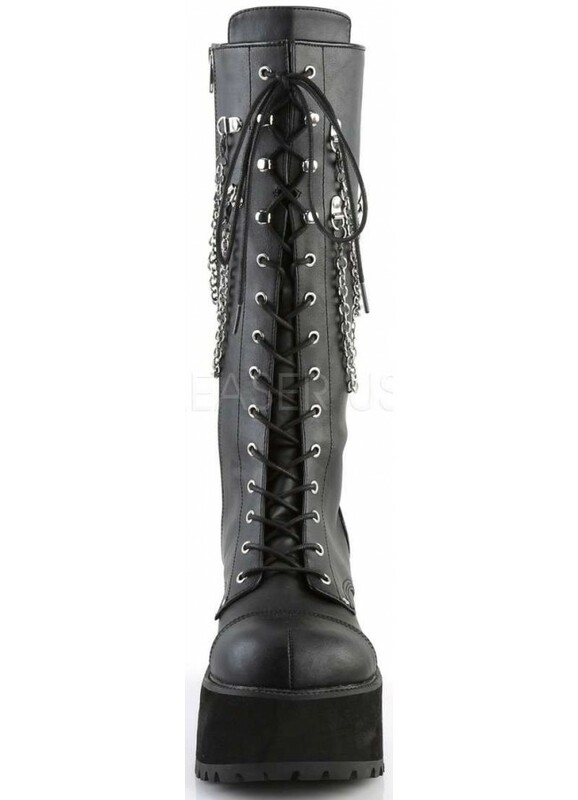 Black vegan leather boot have a 3 1/2 inch platform heel and lace up front with studded back strap accented with o-rings and clip on silver chains. Full inner zipper for easy on and off. Made in US Mens sizes, see our size conversion chart to convert to other sizes. All man made material with a padded insole and non-skid sole. 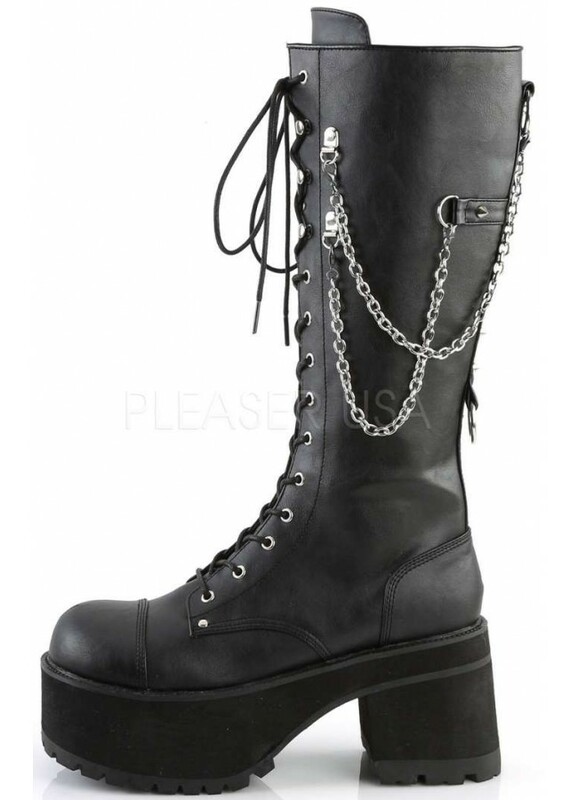 Made in men's sizes 4-13, average width. 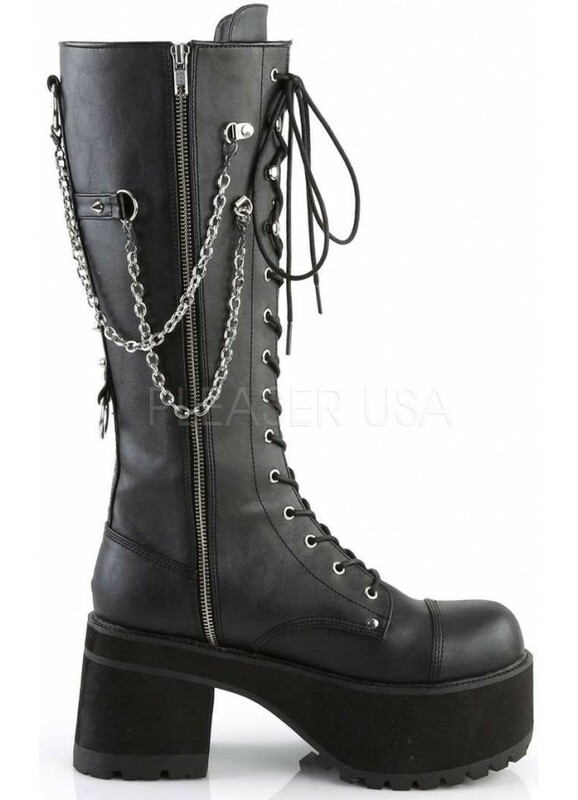 Item Number: PL-RANGER-303 | Approximate Size (Inches): 10.00 wide x 18.00 deep x 8.00 high | Approximate Shipping Weight: 6.00 lbs. Toe Shape Squared toe is comfortable for just about everyone.